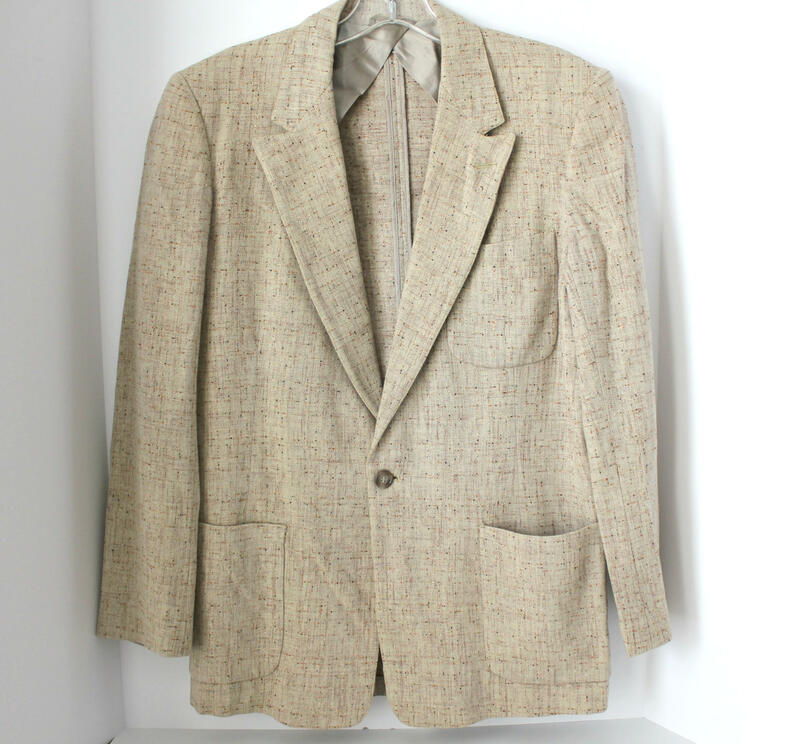 A vintage 1960s era vintage light tan men's fleck jacket. 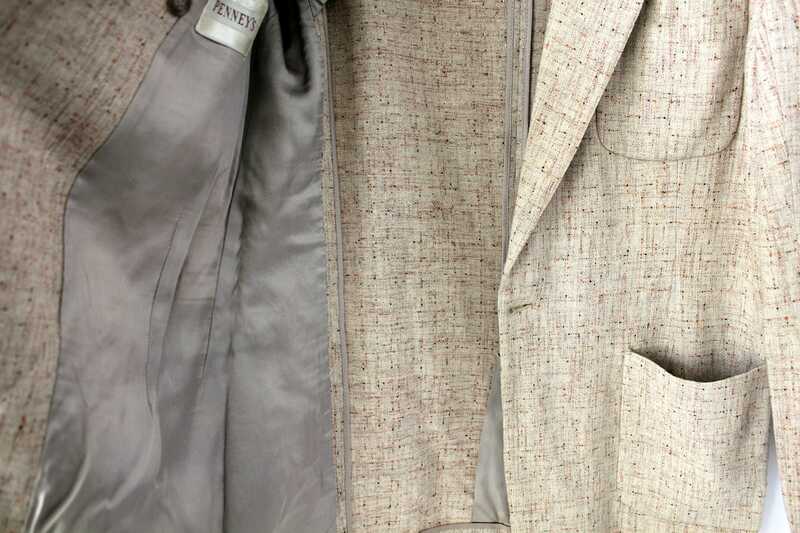 Features 3 pockets. 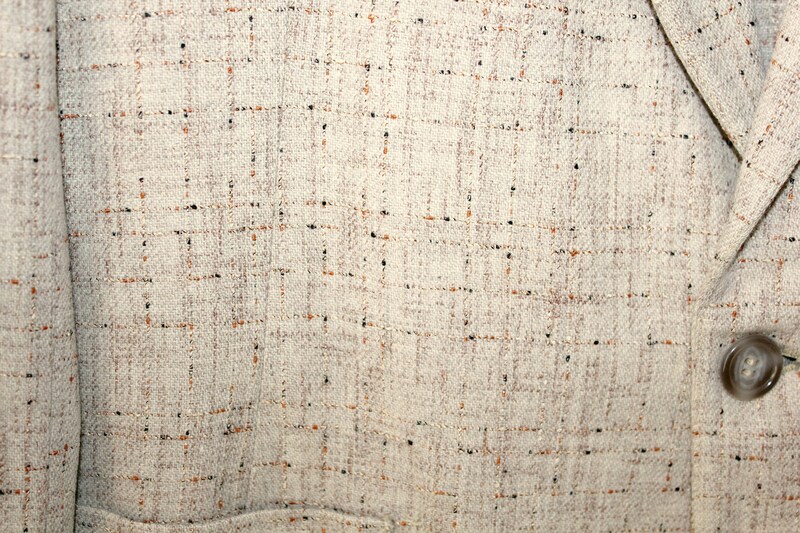 partial lining of sides and sleeves and three button detail cuffs. 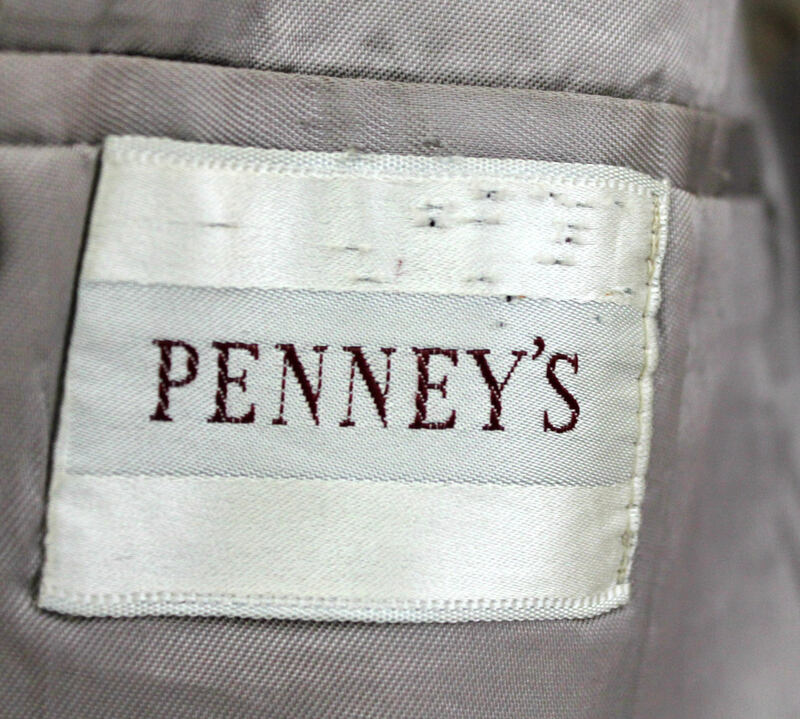 The jacket label is Penney's and there is no size or material tag. 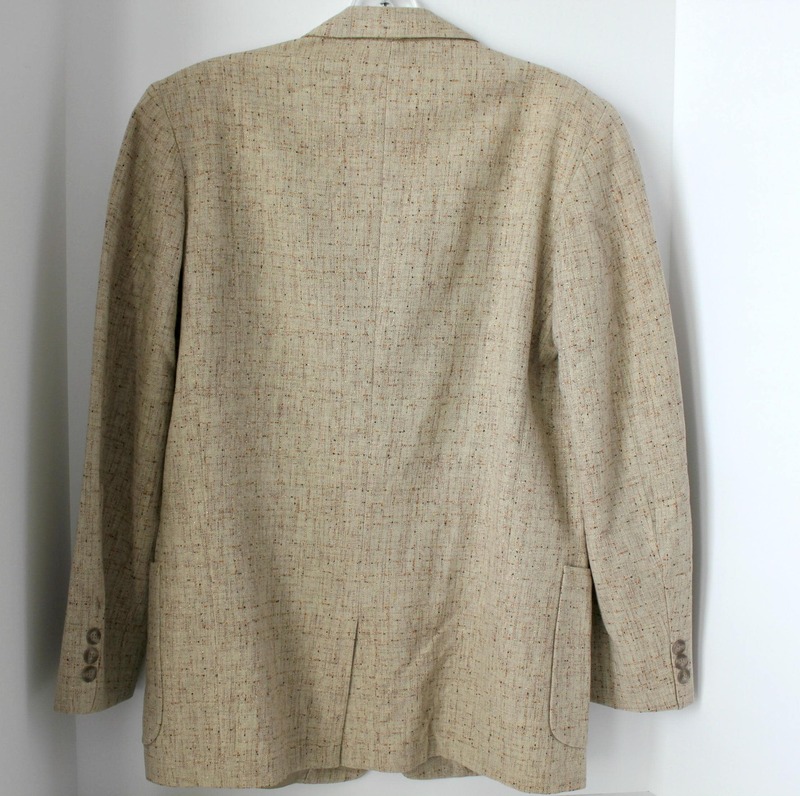 Shoulder width across back - 17"
Length from back base of neck - 29"
The jacket is in nice shape with no flaws to note.